Olympus has introduced three new digital cameras for a whole range of different needs. Among them is the Olympus E-M10 – a new member of the family of award-winning OM-D series device, the SP-100E – the world’s first camera with built-targeting device and resistant model TG-850. 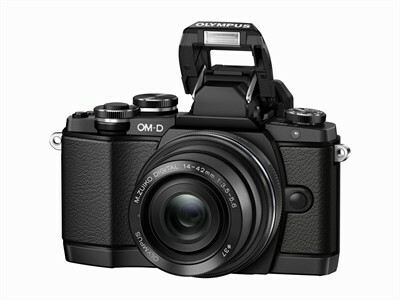 MD Series has a new member, the Olympus E-M10. Stunning new camera combines superior image quality, classic look and focusing speed of the E-M5 with the power of the leader, the E-M1 in extremely compact, full-metal body. In fact, just because of the housing Olympus E-M10 is somewhat design paradox, because the appearance gives the impression of a DSLR camera, and comes with the same, TruePic VII image processor and WiFi technology as the E-M1, but it is only part of its size. For the skilled hobbyist photographers who are looking for a powerful camera for everyday use, the OM-D is the right choice. Despite its compact dimensions and powerful components, E-M10 has plenty of room for a large, extremely fast electronic viewfinder with a resolution of 1.44 million dots, tilting LCD screen size of three inches, image stabilization in three axes, incredibly fast focus ‘FAST AF’ and one simple add-on that will love owners who think practically, pop-up flash. This is typical for Olympus ergonomic design approach that is focused on the user and provides a tightly laying of E-M10 in the hand and easy to manage, despite its small size. E-M10 will be available from early February 2014. with lens M.ZUIKO DIGITAL ED 14-42 mm 1:3.5-5.6 or new, ultra-thin lens M.ZUIKO DIGITAL ED 14-42 mm 1:3.5-5.6 EZ with electronic zoom.